Yesterday the ever amazing Qelric posted an interesting video surmising that Justice and Valor points may be on the way out. This of course was a conclusion drawn based on various tidbits of information that has been released over the last few days. I don’t think Blizzard is terribly happy with the current Justice/Valor situation, but in truth I think this is mostly because over the last couple of expansions they have lost sight on why it existed in the first place. The pinnacle of the system “working as intended” I feel arrived during Wrath of the Lich King. At that point if you were completely unlucky in getting the right dungeon drops, you could save up and eventually buy even set pieces with this “consolation currency”. Sure it also modified how we viewed gear, since only certain pieces could be bought with valor but generally speaking you could get a two piece bonus with the current tier without actually having to rely on raid drops. I did not play much during the cataclysm era, so I cannot really recall how the system worked then, but during Pandaria it has changed into something mostly useless. The gear you can get with Valor is a much watered down version of what you can get through even the latest tier of LFR. As a result Valor has become a currency almost exclusively reserved for spending on item upgrades. So quite honestly… I don’t think the valor/item upgrade system is really working as intended either. I feel like right now Blizzard is going through a lot of growing pains, in part due to the fact that there has been a fairly constant changing of the guards when it comes to decision making. I feel like we are seeing a classic case of “I don’t know what the original intent was, so lets just get rid of it.” As a programmer I completely understand this, since if you look at some code and you cannot fully grasp what is going on, the instinct is just to gut it and replace it with something that does make sense to you. As a result we are seeing a lot of these “re-writes” going on, tanking stats not working the way we want them… lets get rid of them. Juctice/Valor mutated in purpose over the last few expansions… well lets get rid of that too. I feel Justice points used to fill a niche that was highly needed in the game, so my hope is that we can return to the way things worked during Wrath. For those who do not know already, this weekend there will be another massive beta test weekend over in The Elder Scrolls Online. They have also announced that by participating in the testing you will be eligible for an in game Monkey pet at release. Millions of beta keys have been sent out at this point, and most of them came with a buddy key attached. So hopefully all of you that are reading this will be in this weekends testing. I have my public beta client tested up and will be popping in to hang out with you all. If you are playing this weekend feel free to throw @Belghast a friend invite. You can do friends lists in two ways, either you can friend a specific character or you can friend the root account identifier. They follow twitter like syntax so prepend all account invites with the @ symbol. I believe that weekend testers will be able to see first hand the new starter experience, as well as the new collision detection. This is something that had been in the works for awhile, but since it had also been a major weekend test complaint they were able to get the collision detection in before launch. 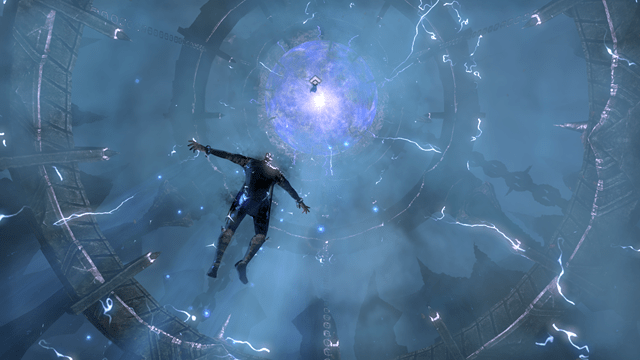 Essentially now you can no longer run through NPCs, enemies and other players in PVE settings. This has been disabled for PVP however since managing collision detection with hundreds of players in the same area becomes problematic. Additionally and some of my readers will appreciate it, what were essentially Midi tracks have been replaced with the full orchestral equivalents. The game feels and sounds amazing. I have a spare buddy key that I would love it to go to one of my readers. So if you are interested in testing this weekend, and do not mind downloading a roughly 30 gig beta client… post in the comments and we will figure out a way to get you the key. I think most everyone I know already has access to this test, and I look forward to seeing them all over the weekend. Yesterday my good friend @Gypsy_Syl posted the above video to twitter in response to another friend. Without really meaning to, she helped to pick out today’s factoid. As a kid I played with dolls, in fact I owned a Barbie and a Ken doll and eventually down the line a Cabbage Patch doll as well. I am thankful that my father didn’t make a big deal about it, and I obviously grew up no more scarred than any other kid is by their childhood choices. In part a good chunk of it is likely that I was “mostly” raised by women. My mom and dad were busy working all of the time, so my caretaker and playmate was my Grandmother, where I spent most of my early years. Next door there was a little neighbor girl, that became my best friend and constant companion. So instead of forcing the issue and playing Gi-Joe or Star Wars, I just went with the flow and played whatever she wanted to play. While Crystal was not really a “doll” type, my cousin most definitely was. So I can remember playing barbies and strawberry shortcake and whatever else she wanted to play. At this young age I just got used to relating to women, and even today I am far more comfortable in the kitchen come holiday time than sitting around the living room having to pretend to know anything at all about sports. While I am 6’4” and have a mountain man beard and can generally pass as one… I am most definitely not the “manly man” archetype. So when it comes to long-term friendships, I tend to flock to either women or other guys like me that are not drenched in an overabundance of testosterone. 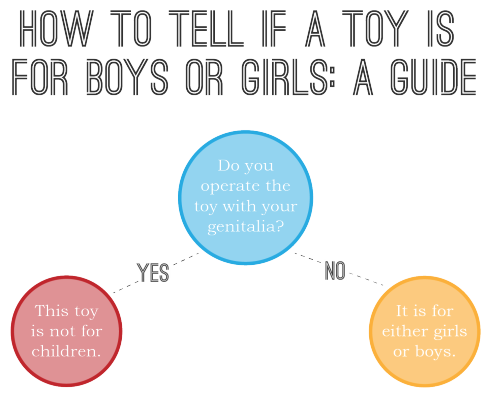 One of the things that frustrates me is that gender is associated with toys in the first place. The whole topic of boys playing with dolls started when another friend, @MMOGC mentioned that it was impossible to find pictures of girls playing with train sets. I have encountered the problem myself when dealing with Lego sets. It is damned near impossible to find Lego sets that include female minifigs. My niece has decided she is into lego, and while she is a huge fan of the “Friends” line of mutant minfigures… I am trying to also provide as many cool normal minifigs as I can in the process. While they exist freely in the minifigures packs, it is almost impossible to buy a Lego City set and see a woman performing any role there. Why can’t there be Women Fire Fighters or Police or hell… even Sanitation workers? Somewhere over the years it was decided apparently that Lego was a “boy toy”, and while there are “pink” Legos, they simply do not have the same variety as the normal kind. However I am still going to do my best to support the habit of building and creating things, even if it means the really cool stuff is harder to find. I have extra buddy key! YOU ARE A TOY! YOU! are a child’s PLAYTHING! AA-OH, you’re an action figure. http://t.co/JXvRrHOYYQ @belghast #AGGRONAUT! Okay quick update… MY buddy key is gone. Went to Rowan who is like the best blog cheerleader ever with his amazing retweets. Also special thanks to Ashgar/Hiddenwings for scoring him a second key for Sctrz 🙂 I might know several people who have no clue what to do with their buddy keys, so if there are Alliance of Awesome/Stalwart/Blog reader folks who still need them go ahead and post and we will try and score you one of the spares being unused.